Gary Stafford’s Lyons Café is one of the jewels of Sligo town, a superb café and bakery where Mr Stafford takes local ingredients and turns them into delicious things to eat. Mr Stafford’s first book was a slow-burning success and cookbook two is likely to enjoy the same distinguished life. Mr Stafford has a knack of riffing on ideas and thereby improving them – just look at his recipe for crispy roast potatoes with cumin, mint and shallots as an example of how to turbocharge an old warhorse – and his food is intelligent and moreish, and puts us in mind of the cooking of the great Deborah Madison. The addition of the Bakeshop to the Lyons Café set up – it opened in 2013 – has been a great addition, and the recipes for breads and cakes in cookbook two are excellent. The paradox of Japanese food is that people outside of Japan believe it to be intimidatingly complex and yet it is, fundamentally, relatively simple. 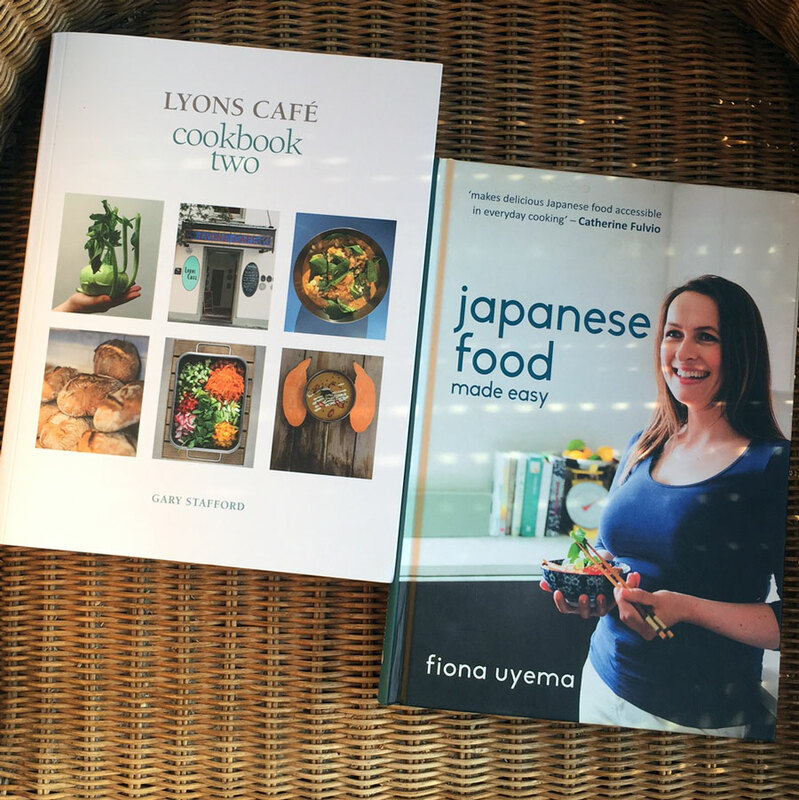 Fiona Uyema’s book does a fine job of getting inside the ingredients and techniques of the cuisine, thereby revealing that it is, in fact, a not-too-tricky thing to make oyako-don or okonomiyaki. The book is valuable as a portal for those who want to embrace the thunderous healthfulness of the Japanese way of eating, but believe that they could never master the skills of, for example, sushi making. Ms Uyema’s sushi hand roll, with Goatsbridge smoked trout, avocado and cream cheese, will get you started and soon you will be firing out awesome nigiri for your friends. Credit also to Mercier Press, and in particular the photography by Rob and Zita of A Fox in the Kitchen, for producing such a stylish and handsome book.